Something we’ve discussed before on this blog is how Lensrentals.com operates. While many of the people who work here are photographers and videographers as well, we’re still very much a specialty service. Our job is to get the tools you need to help create your work. So while we’re in the service industry, we still have a creative side to us, and occasionally get to see some of the incredible work others have created with gear rented from us. We want to start a new series here on the Lensrentals.com blog, where we can highlight some of the incredible work that our customers have created. I was able to chat with Brady, as he walked me through the process of how to take photos for such an incredible and once in a lifetime event. 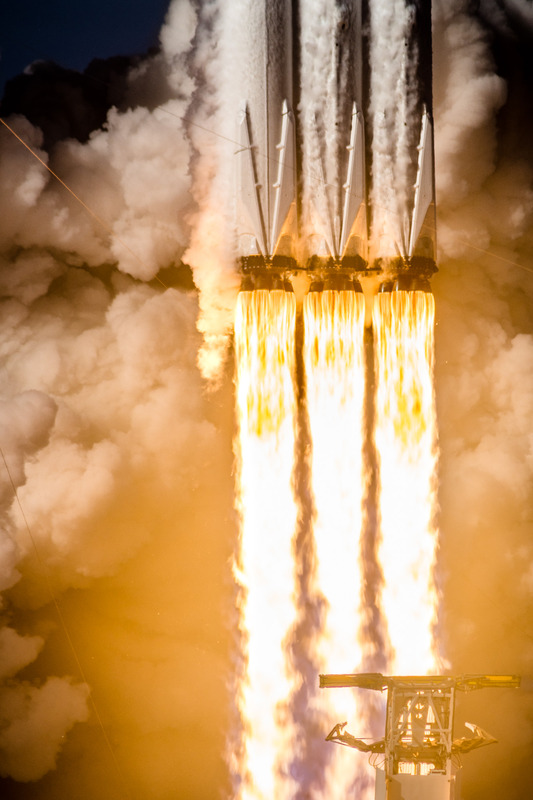 With an event like the Falcon Heavy Launch, you only get one chance to capture this from your preferred angles, so Brady used six different cameras to shoot this launch at various shooting angles. His cameras of choice were an extensive collection of Nikon systems – The Nikon D500, Nikon D610, Nikon D3100, two Nikon D3200s, and the Nikon D7500 he rented. While the gear savvy among us may notice, a lot of the camera’s are not the latest offerings from Nikon, and that’s because they don’t need to be. So the result is a lot of planning, a lot of technology, and a lot of wishful thinking as you watch the rocket lift off from a safe distance 6 miles away. 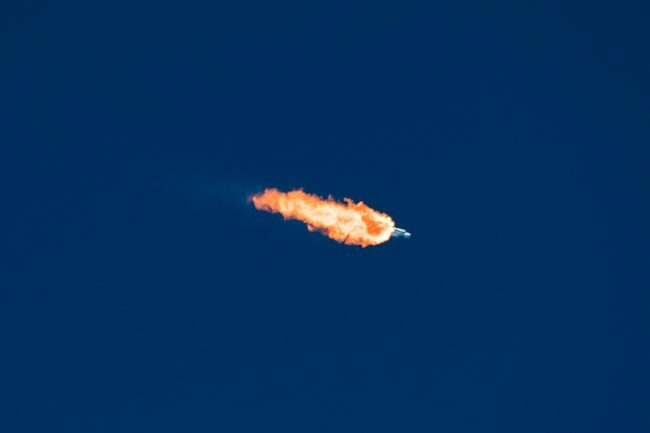 It isn’t until after the rocket has left out atmosphere that you can get back on the bus, and see what your camera did, or didn’t capture. 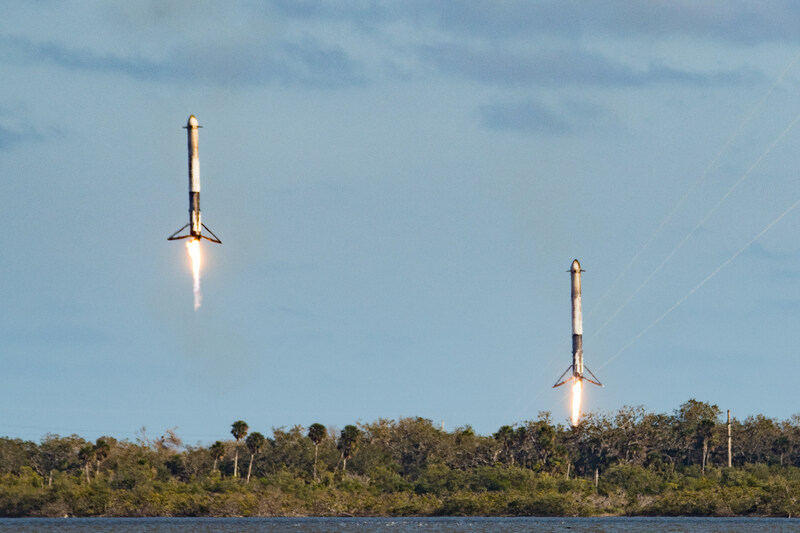 For Brady though, the end result is an incredible experience of another successful SpaceX launch (and landing), and some spectacular photos that have been shared all over the world highlighting this fantastic feat for science. Have you used our gear to create something incredible and want to be featured on the blog? Feel free to comment below and we’ll reach out. 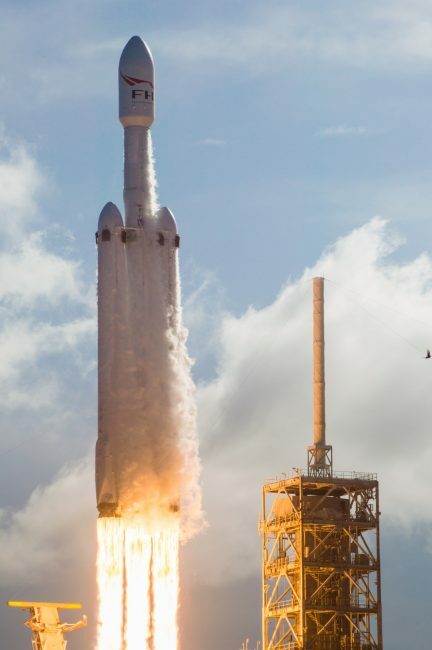 Yes, those engines are incredible! Kind of funny to see fire just a few feet away from ice! Fortunately, this time of year, the weather is pretty dry in Florida. I have lived here for decades, and winter is your best bet for dry weather for weeks at a time. As always, plurals don’t come with apostrophes. 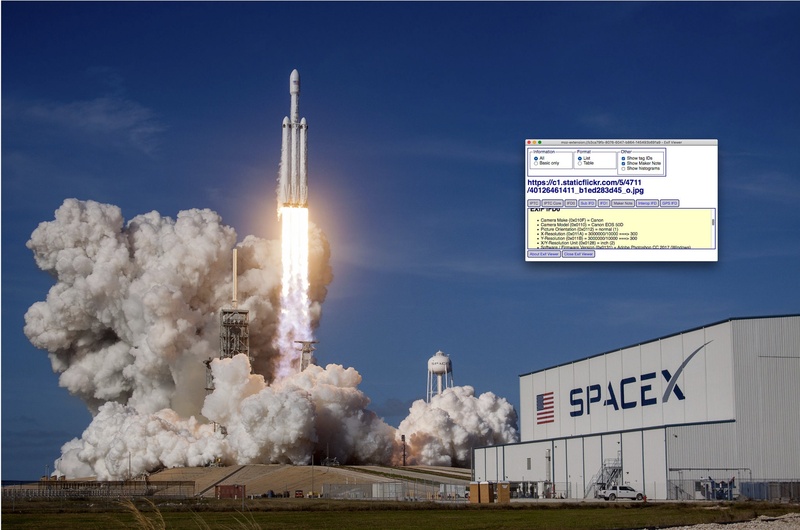 That’s a different photo shot at the same location. Likely another photographer with press credentials, who also positioned a camera at the same place and took the photo at roughly the same time. 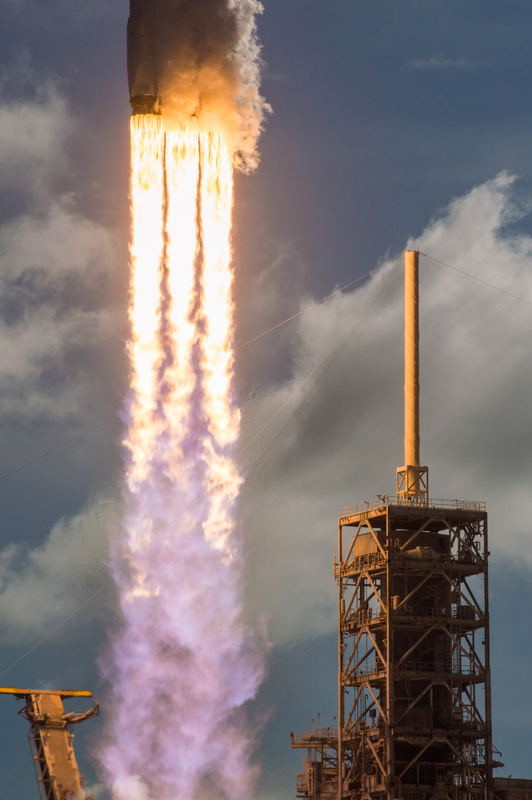 You can see it’s a different photo if you compare the position of the white pole on the launching platform, that sits in front of the smoke. Incredible photos. I’d love to get access to restricted areas to place unmanned cameras; but I don’t have any cameras that I could spare. 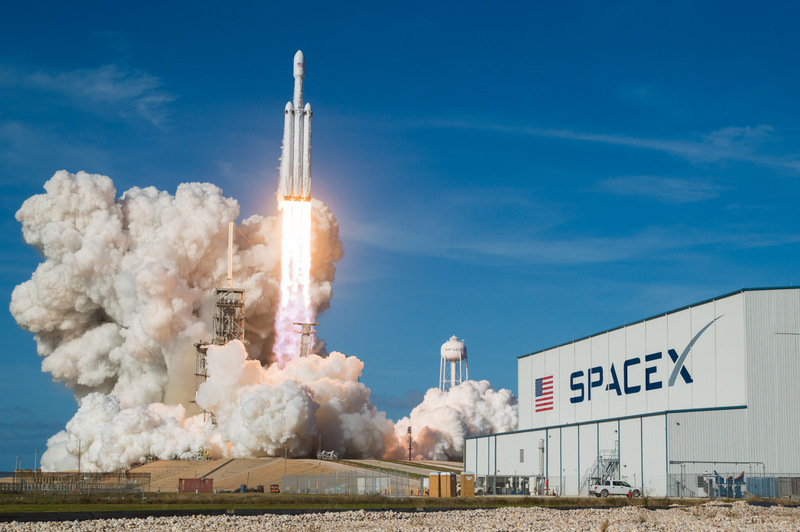 I want to go see a huge rocket like the Falcon Heavy launch. 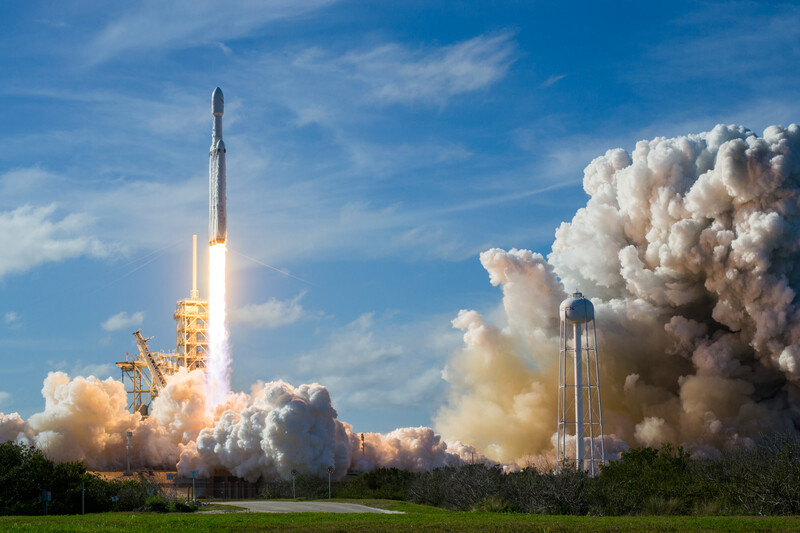 I saw the final launch of Apollo and to see, hear, and yes, also feel, the power of the Saturn IB rocket was incredible. I also saw the final Space Shuttle launch and landing; I don’t have great photos of the landing since I was using ISO 400 film pushed 2 stops. Is using rented equipment for remote photography in a dangerous zone subject to the new rental rules for photographing events such as Burning Man and color runs? I’ve left my canon 5DM3 in for weeks and the battery is still at 75%. There’s no magic. DSLR’s put mirrorless to shame where battery life is concerned. Low-power LCD, analog viewfinder, etc. sip little to no power. Wow! Those are great photos. Couple logistical questions… How do you protect all that gear from the Florida rain? Do you bag everything? Or pray to the weather gods for dry conditions? And does each camera get triggered only once? Or do they fire until they run out of room? And finally, do you set an exposure for the cameras? Or let the camera handle the exposure? Again, what a wonderful writeup. DSLRs go to sleep and use basically no power. I’ve left bodies on for weeks on many occasions. To be honest, I’ve left my camera on over night without realising it. There was still at least 50% juice in the battery – the camera is doing very little until the metering chip fires up. I imagine this is a hardware optimisation hanging on from when we had really crappy batteries and LCD viewfinder overlays in film cameras. probably even the regular battery will be enough. DSLRs don’t need a lot of power in standby, that is where all the fancy liveview mirrorless are just useless. the remote trigger will wake up the camera and take the pictures. else there are battery slot adapters and the remote/timelapse community has been using external battery packs, e.g. from remote controlled cars/planes/etc, for ages. only recently manufacturers have been throwing stones at us with some stupid chipped batteries and cameras that won’t work without them; because “safety” and such. so sometimes older cameras are better than newer ones. Just like GulliNL……..How do you keep the cameras powered for such extended periods of time? What i’m curious about; triggering the shutter doesn’t seem to be the problem, but how do you turn your camera on remotely. 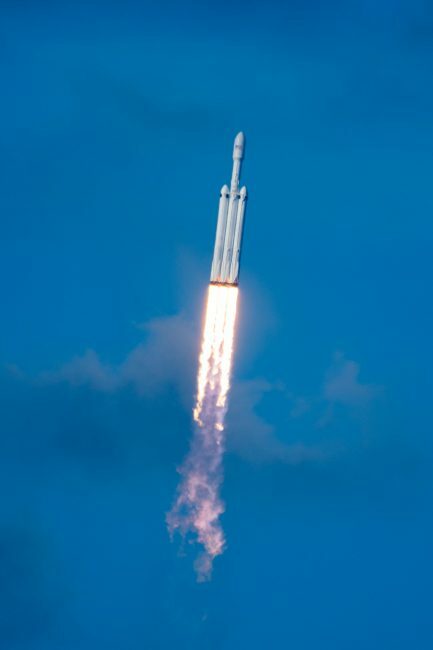 I can’t imagine the camera being left ‘on’ all the time the photographer is away from his camera all the way until launch time? Awesome photos. Love the closeups of the engines.